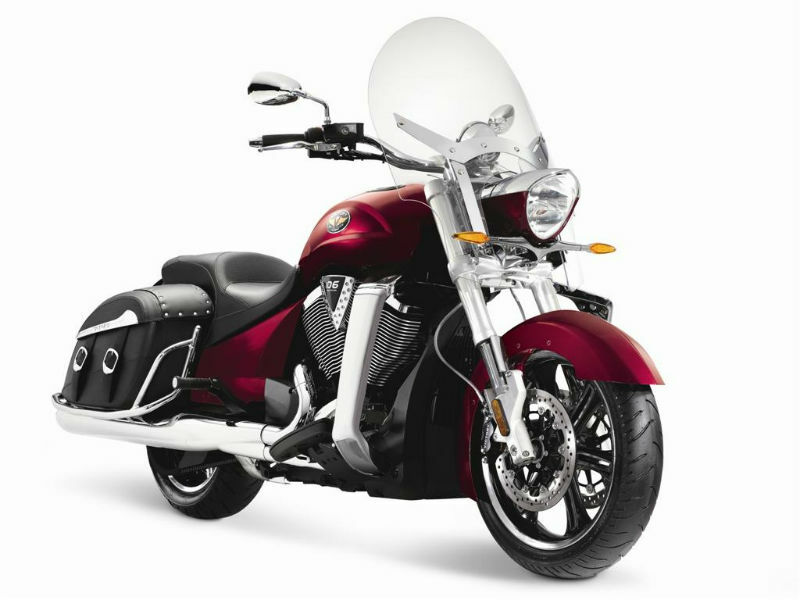 Victory Cross Roads is a true cruiser with extraordinary looks, quality design and added comforts which serves as the major points for smooth, jolly ride on any roads. The vehicle is perfectly sculpted with the visible striking curves adding to its design and meeting the demands of aerodynamics thereby assuring the safe and controlled drive. Equipped with some of the latest features like ABS, the bike gives a thrilling experience to the rider. 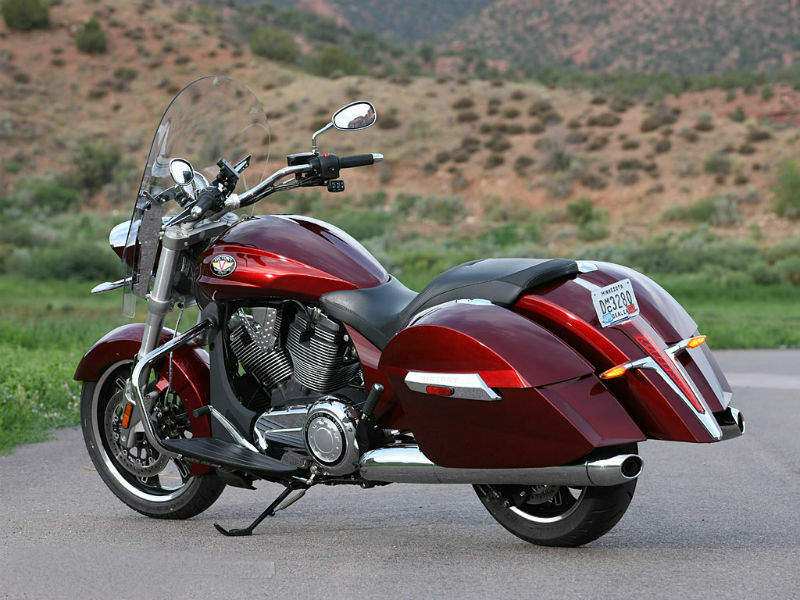 The classy motorbike is packed with powerful 1731 cc, 4 stroke, Freedom 50° V twin engine which manages the performance. The maximum power generated from this is about 97 Bhp and the highest torque achieved is 153 Nm. The power so produced reaches the wheels through 6-speed overdrive constant mesh. The unmatched style of the vehicle serves as the major attractive feature which has the power to stun every passerby. The glorious and impressive features of the bike include stylish curves on the fuel tank, neatly placed motor, fashionable design of the instrument panel, attractive head lamp structure and a soft bag which serves as a storage compartment. It is not about the looks, the properly positioned seat, handle bar and foot rest make sure that the ride is enjoyable. The Victory Cross Roads take over the control of road by its advanced technological features which assure better handling. The trendy motorbike comes with quality suspension including the front Inverted cartridge telescopic fork and rear single, mono-tube gas which provide the smooth journey even on bumpy roads. The floating rotors brake for both the wheels including the ABS (Anti Lock Brake System) help to apply sudden and quick brakes at short distance. The exact mileage offered by Victory Cross Roads is yet to be known. 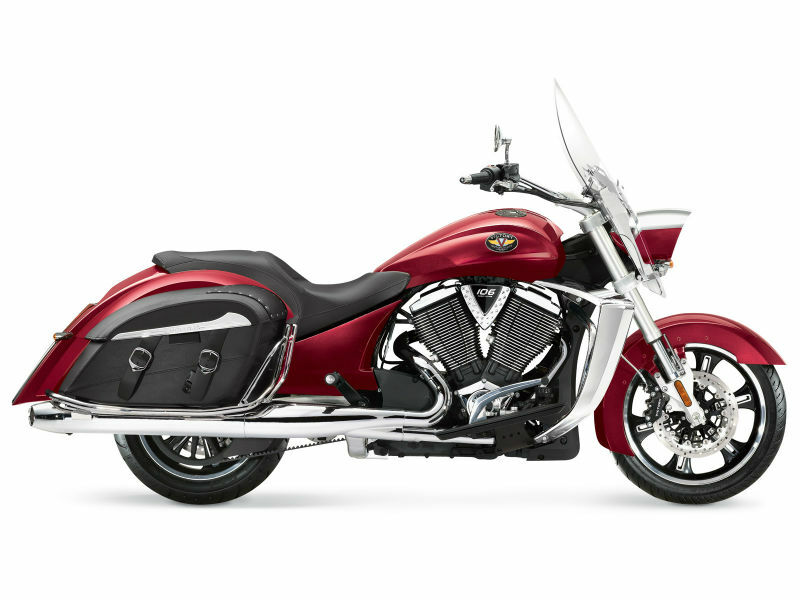 The bike is expected to be released in two colors black and red. The ex-showroom price of the vehicle is about Rs. 15,00,000.